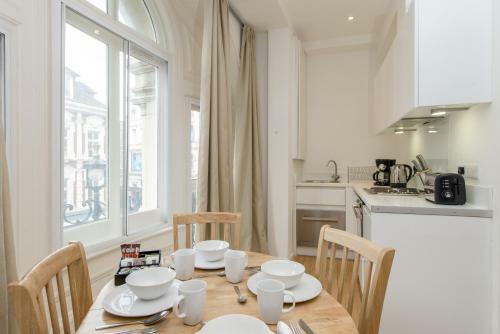 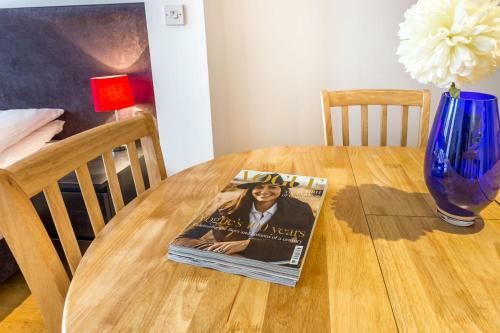 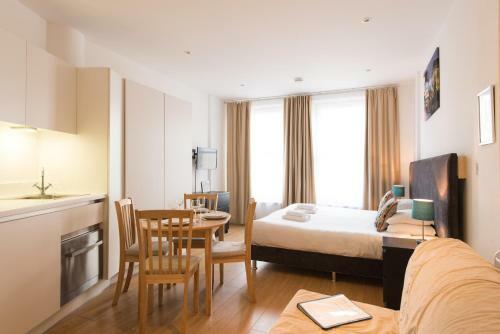 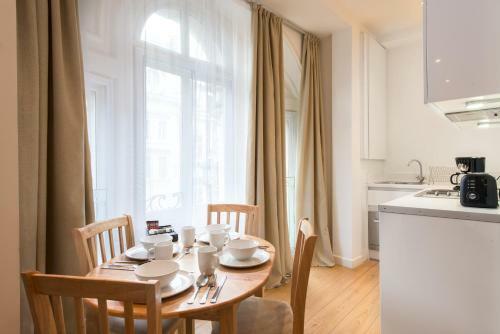 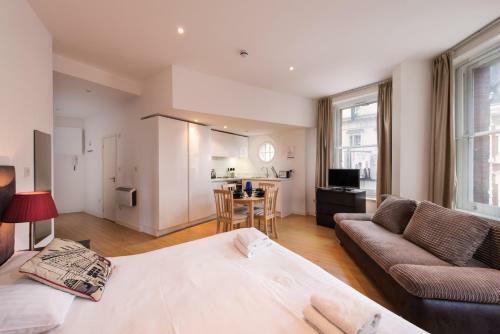 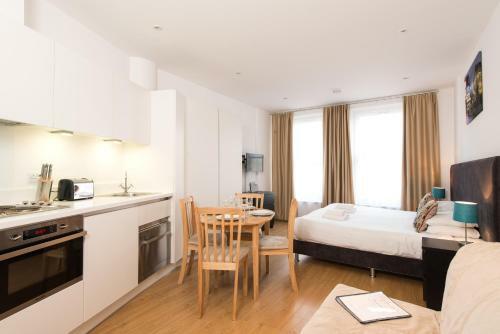 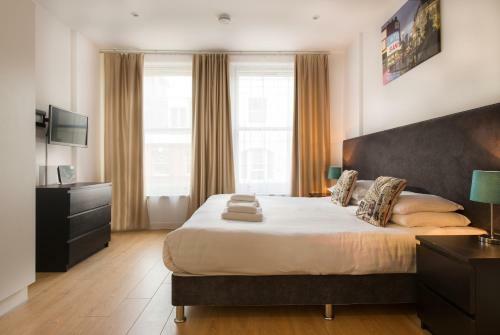 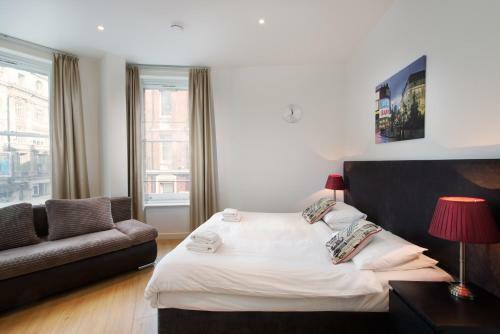 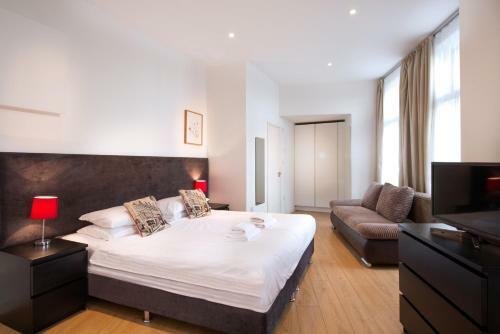 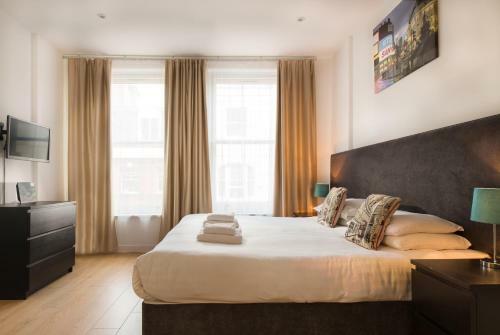 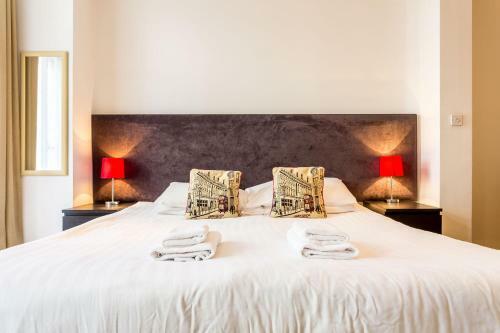 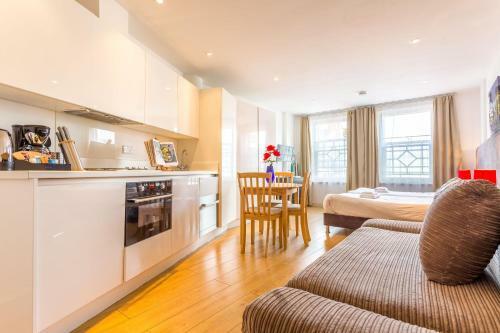 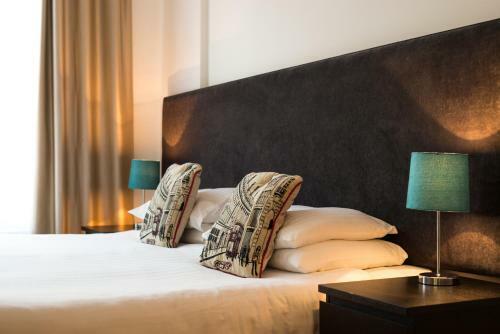 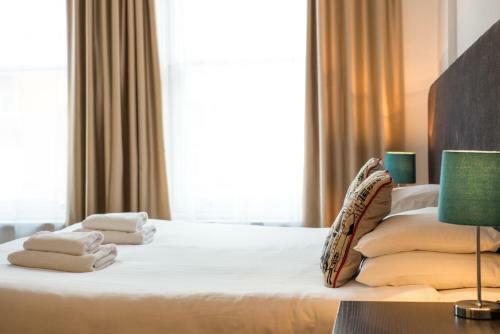 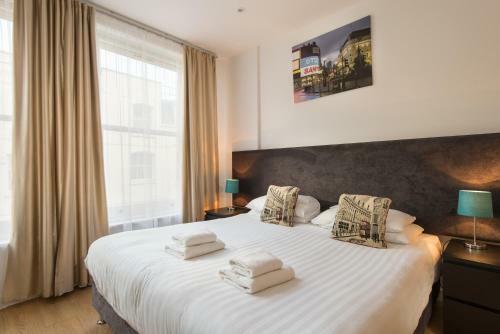 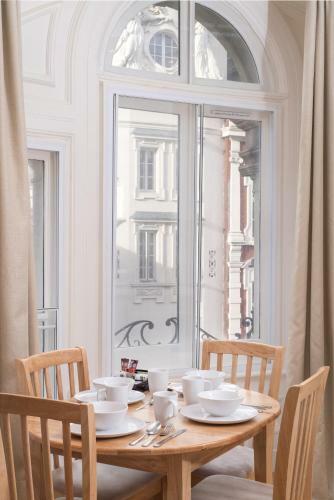 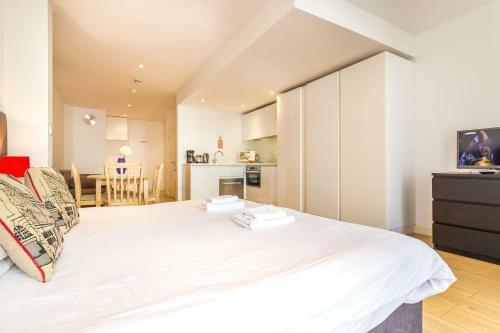 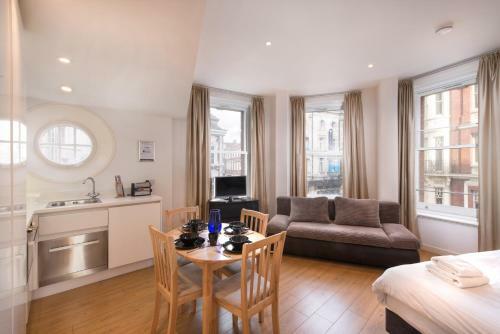 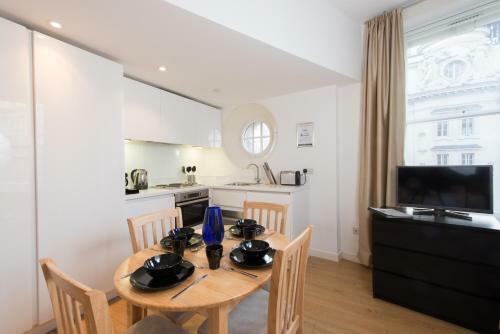 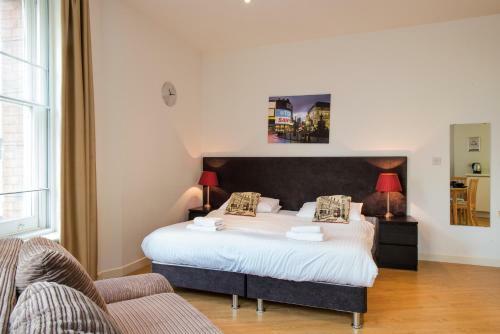 My Apartments Piccadilly Circus are high quality serviced apartments, located in one of Central London’s most vibrant neighbourhoods. 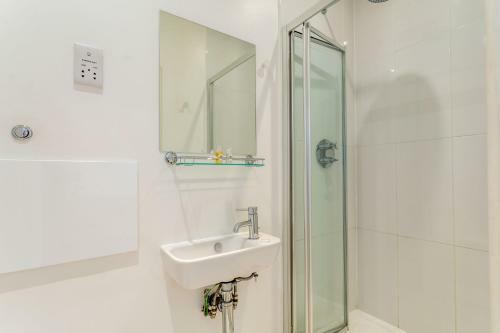 Free Wi-Fi is accessible throughout. 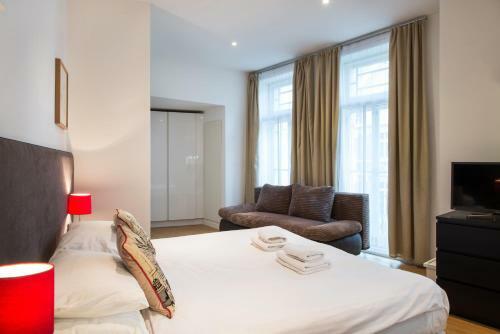 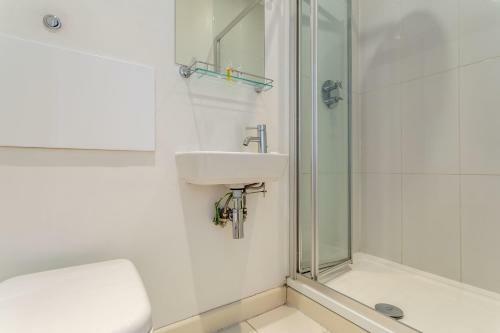 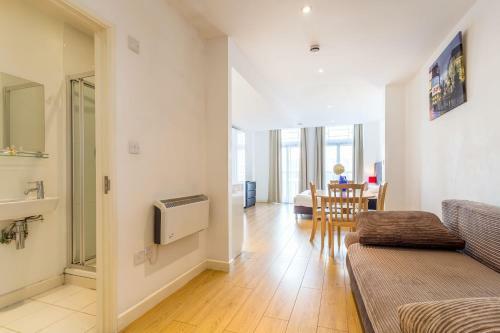 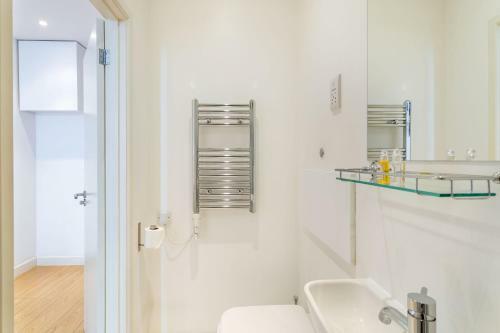 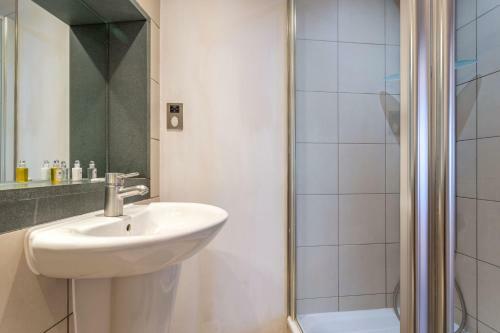 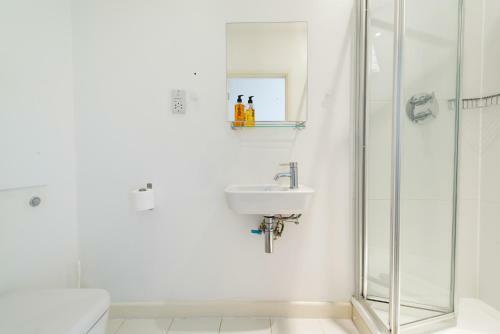 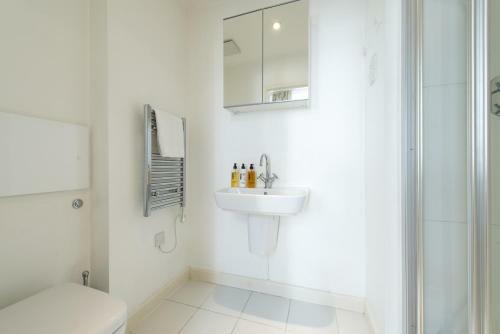 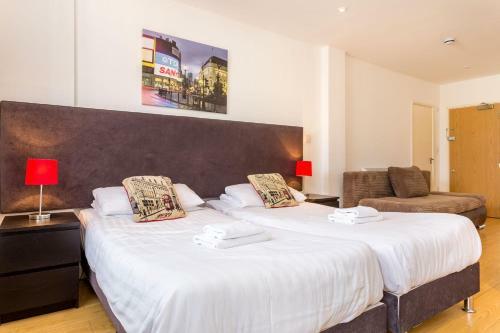 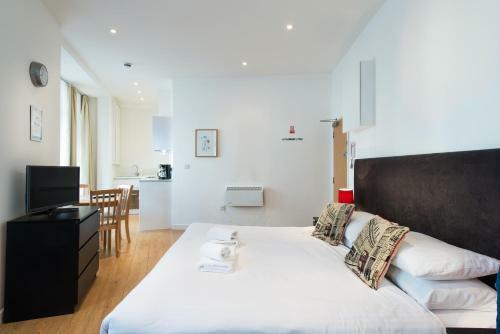 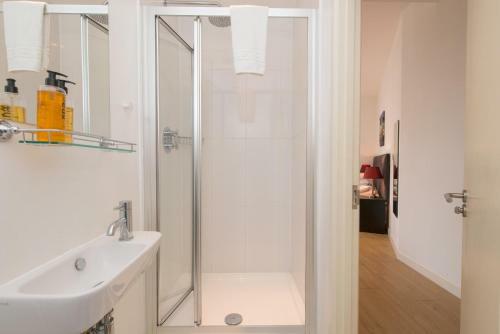 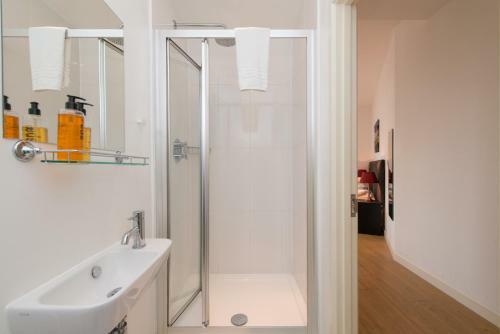 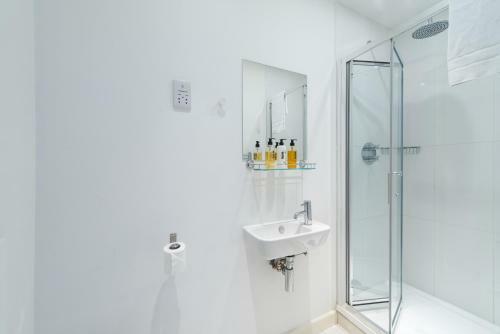 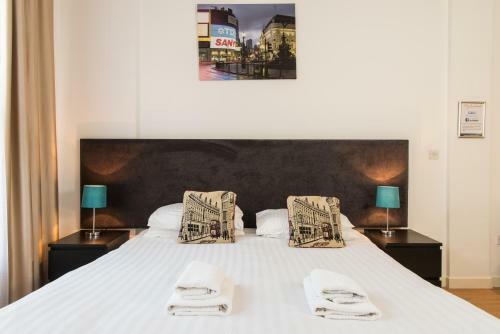 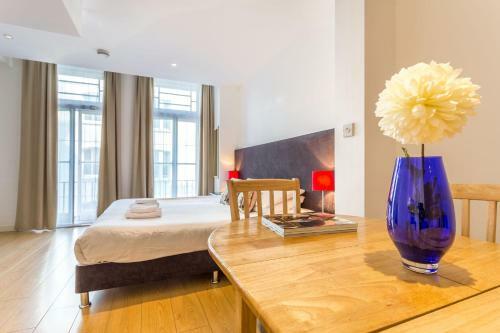 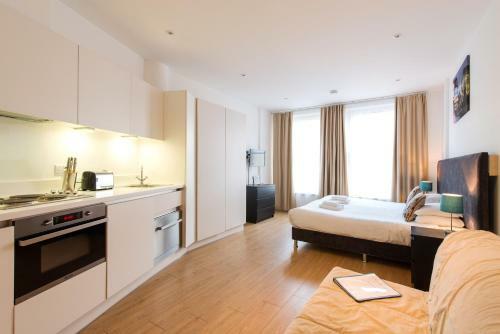 My Apartments Piccadilly Circus are decorated in a bright and modern style and have a tiled bathroom with sleek fixtures. 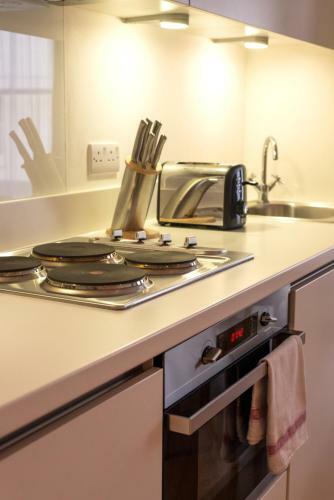 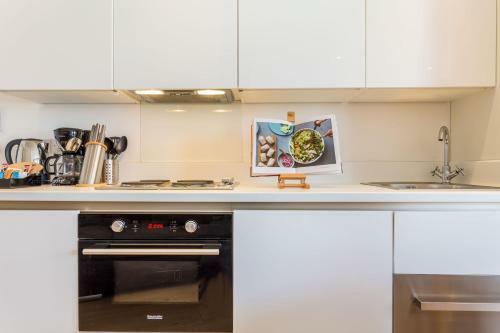 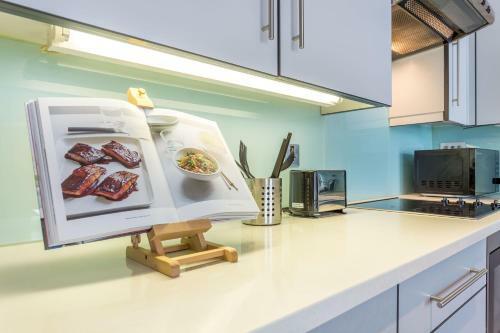 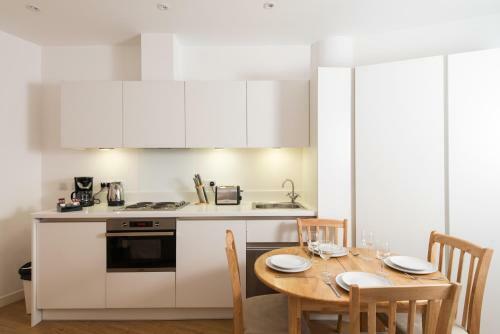 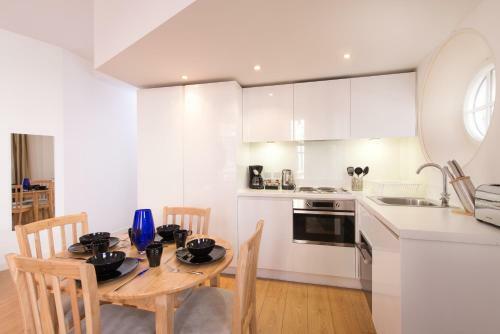 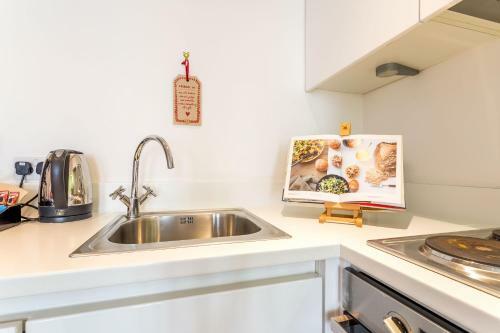 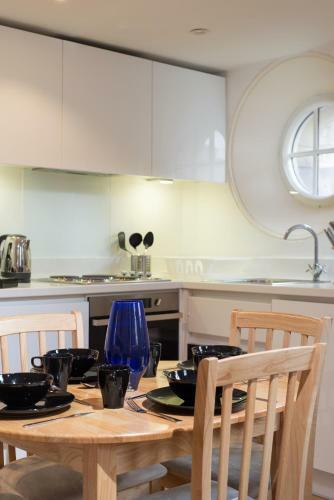 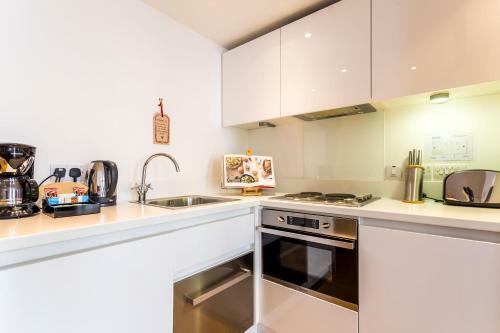 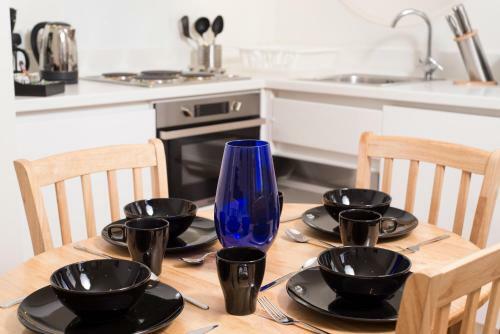 Each studio apartment has an open plan kitchen and dining area with an oven, a fridge and a microwave. 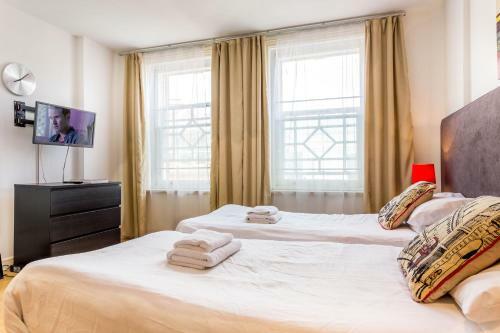 The apartments come complete with a flat-screen TV. 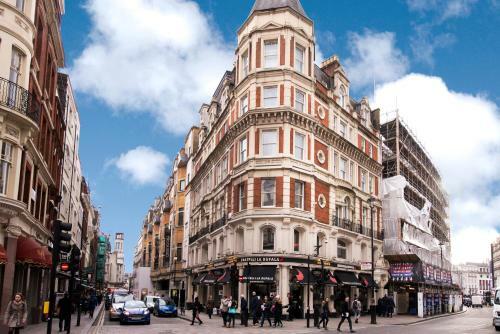 The many shops, bars and restaurants of London’s West End are within a 10-minute walk of the property. 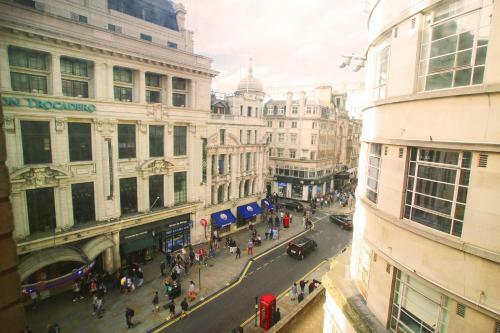 Buckingham Palace is 16 minutes away by public transport and Trafalgar Square can be reached in 10 minutes on foot. 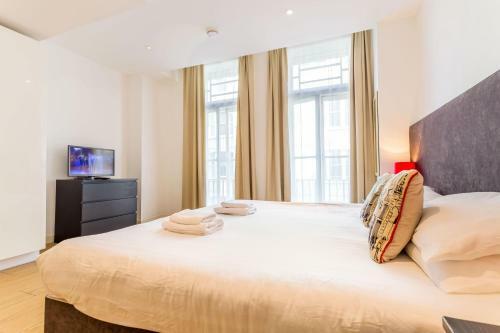 Leicester Square and Piccadilly Circus are the closest Underground stations , and both are less than 5 minutes’ walk from the property. 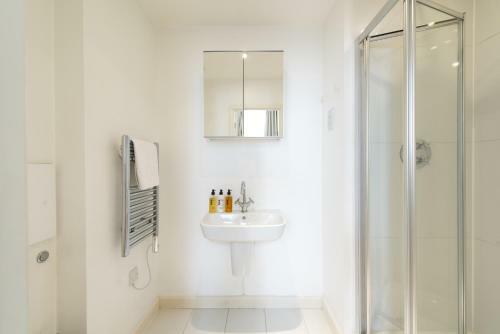 London Heathrow Airport can be reached in 50 minutes by public transport.